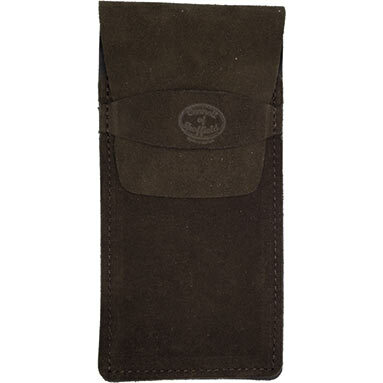 Protective dark brown leather pouch for DMT® diamond stones. Ideal wallet for 8 inch (203mm) DMT stones. Handmade in the UK using quality UK suede leather. Made by Connell of Sheffield.